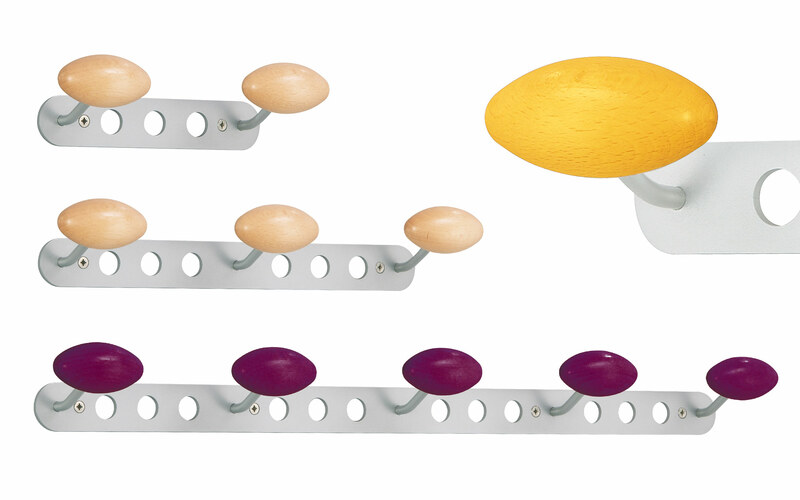 MEW front mounted hook strips feature painted steel frame with wood knobs, available in lengths of one, two, three or five hooks. Frame and knobs are available in various finishes. ALOES family also includes a coat tree and a magnetic hook.